PROVO, Utah (KSTU) -- A California couple said they were kicked off their flight out of Provo after telling a flight attendant their son has a peanut allergy. Kyson and Sara Dana said they were flying out of Provo Monday afternoon and were heading to Oakland, California. The couple and their two-year old son, Theo, call the Bay Area home. In a Skype interview on Wednesday, Kyson Dana said as they stepped through the door, his wife alerted the flight attendant to Theo's allergy. The couple told FOX 13 News Theo had just gone into anaphylactic shock over the weekend before their flight after accidentally ingesting an almond. They said they were armed with an epinephrine pen, which is used to help those with severe allergies, and wipes to sanitize their seats against traces of nuts. An American Board of Allergy and Immunology Certified allergist, Dr. Kay said hearing the story as the couple relayed it, also left her surprised. Dr. Walker said it's safe to fly with a peanut allergy, as long at the passenger and their family take the right precautions. 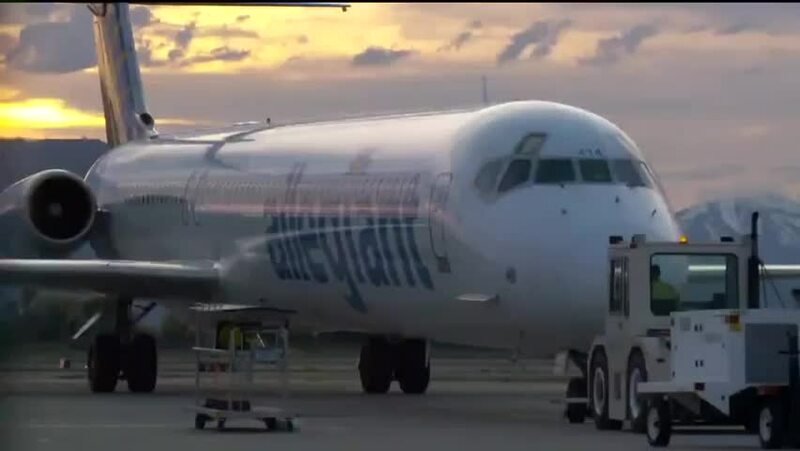 FOX 13 reached out to Allegiant Air, and a representative said they are looking into the situation and will reach back out when there is more information. "On behalf of the entire Allegiant team, please allow me to offer my sincere apology for the inconveniences this incident has caused for you and your family. We regret that you were denied boarding due to any misunderstanding regarding the severity of your child's peanut allergy. I realize that medical issues can be highly challenging. We just wanted to make sure you arrived home safely."